New research shows that high school students benefit in many ways from later start times. It all began with a phone call 20 years ago to the Center for Applied Research and Educational Improvement (CAREI) at the University of Minnesota in August 1996. The superintendent of Minnesota’s Edina School District was reaching out to CAREI, seeking to discover if the new change in the start time of their high school — from 7:20 a.m. to 8:30 a.m. — would have any effect. I took that call. When I learned the reason for the change — namely, that the district’s later start time purported to address developmental changes in the teenage brain related to sleep — I was skeptical. As a former teacher, school principal, and district office administrator in special education, I thought I had heard it all when it came to explaining teenage behavior. This association between brain development and teenagers was new to me. As the early findings from Edina were being reported, the Minneapolis Public Schools superintendent and school board decided a year later, in 1997, that they, too, would change the start times of their seven comprehensive high schools from 7:20 a.m. to 8:40 a.m. This change affected 52,000 K-12 students. The multitiered busing schedule moved elementary students to the earliest times, with high school and middle school students shifting to the later times. The outcomes for the Minneapolis students were similar to those for Edina, although the settings — urban as opposed to suburban — couldn’t have been more different. What we know about human development and, most recently, about the maturation of the teenage brain lends credence to the fact that “it’s a matter of biology, not choice” that teenagers are unable to fall asleep before about 10:45 p.m. and that their brains remain in sleep mode until about 8 a.m. This delay in the circadian rhythms for teenagers is directly related to hormonal changes during puberty. Most teens experience this so-called sleep phase shift only during adolescence; the shift will disappear as teens enter their 20s. 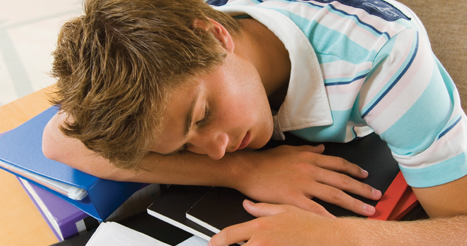 Teens need about 9.25 hours of sleep each night, a difficult amount to obtain when the brain doesn’t enter sleep mode until about 10:45 p.m. and when students must awaken early for a school day that begins before 8:30 a.m. Medical research has shown dramatic negative effects of sleep deprivation, especially in people who are chronically sleep-deprived. Depression, obesity, substance use and abuse, and increased car crashes are just some of the serious consequences. From the early 1990s to now, the medical research findings about the sleep needs of teens became a significant body of knowledge (Carskadon, Acebo, & Jenni, 2004; Jenni, Achermann, & Carskadon, 2005). High schools across the United States began grappling with the possibility of changing start times one school and district at a time. In the early 2000s, few schools had made the shift. Those that did were not inclined to be studied. Many believed that a public examination of the change would be fraught with politics, and they feared the change would be found to have no benefits (Wahlstrom, 1999). Nevertheless, from 2000 to 2010, more than 400 superintendents and principals contacted me for information and guidance. They had questions about a later start time’s effect on grades and sports and on how to solve transportation issues. This was a time of cautious inquiry, with school leaders wondering how their school boards or community would react. Administrators needed factual information from both the medical and education research worlds about brain development and how the two sources of information intersect. By 2005, more than 250 high schools in the United States had made the shift to a later start time, according to early data collected by the National Sleep Foundation. Early research from 1996 through 2002 revealed that absences, tardiness, and sleepiness in school had significantly declined with later start times and that students’ moods and feelings of efficacy had improved (Wahlstrom, 2002). It still remained unclear, however, how the change in time affected grades. No Child Left Behind provided an impetus for collecting achievement data and measuring effects over time. During this time, the Centers for Disease Control and Prevention (CDC) was monitoring the mounting research evidence of the role of sleep in teens’ mental and physical health and began voicing concerns for the health of sleep-deprived teens. In 2010, they issued a call for a larger study to be conducted over several years on the outcomes for high schools that moved to later start times. I was awarded that grant to study the outcomes over three years in high schools in several locations across the United States. Even though hundreds of schools changed to a later start time, only a few were willing to participate in data collection with students and parents and then engage in the resulting public scrutiny from the findings. Then as now, the politics of managing a community’s perception of the change is more than most superintendents want to deal with. Eight high schools in five school districts in three states — Minnesota, Colorado, and Wyoming — agreed to participate in the CDC-funded study, which I conducted from 2010 to 2013 (Wahlstrom et al., 2014). The start times of the high schools ranged from 8:00 a.m. to 8:55 a.m. We surveyed more than 9,000 students in grades 9-12 on their sleep habits, mood, study habits, substance use, and cocurricular activities. We also looked at academic variables, such as grades earned, attendance, tardiness, and standardized test results. The eight high schools had a range of demographic characteristics, raising confidence that the outcomes aren’t associated with a particular group of students. Percentages of students of color in the schools ranged from 10% to 40%, the free and reduced-price lunch rate ranged from 10% to 34%, and graduation rates ranged from 81% to 97%. The analysis involved examining student data by school and grade level before and after the time change. We found significant decreases in absences and tardiness in all grades 9-12 in the school districts that had instituted the latest school start times of 8:35 and 8:55 a.m. — in one district, there was a 66% drop in tardiness. Statistically significant increases in the 1st-period grade point average in one or more core courses of English, math, social studies, and science in three districts with start times from 8:00-8:35 a.m. Significant increases in grade point average in all 1st-period core courses for all semesters in all grades in Jackson Hole High School in Wyoming, with a start time of 8:55 a.m. The evidence shows that the later the start time, the greater the academic benefits. A seminal analysis of the data from the national Youth Risk Behavior Survey revealed that eight or more hours of sleep appear to be a tipping point in the at-risk behaviors of teenagers (McKnight-Eily et al., 2011). Cigarette, alcohol, and marijuana use declined by 8% to 14% when teens slept eight or more hours each night, with depression and sexual activity also declining by 9% to 11%. Thus, the closer a school’s start time comes to enabling eight or more hours of sleep each school night, the greater the reduction in risky teen behaviors. Figure 1 shows the percentage of high school students in our study who slept at least eight hours on school nights by school start time. Do dangerous things without thinking. The good news is that students who participate in clubs, sports, or other organized activities are significantly less likely to use tobacco, alcohol, and other drugs, drink soda or energy drinks, or report depression. On the flipside, we also found that students who participate in clubs or other organized activities or work at a job for pay are significantly more likely to get insufficient sleep (fewer than eight hours a night). Further, the more days each week that students spend practicing or doing sports before school, the lower the self-reported grades. Thus, given what we now know, creating a balance between students’ sleep needs and their interests outside of school is important. When schools have a later start time, which enables students to obtain eight or more hours of sleep, students are more likely to reap the benefits — unless they wake up often during the night to engage with social media. Students who reported more bedroom distractions were significantly more likely to get insufficient (fewer than eight hours) of sleep on school nights. In our study, we found that 87.6% of those surveyed kept a cell phone in their bedroom, which could easily wake them with a beep when messages come through. Thus, a later start time isn’t in itself the panacea for reducing sleep deprivation in teenagers. Car accidents are the greatest cause of accident death in teens; more than 2,700 teens are killed in car crashes each year. According to National Highway Traffic Safety Administration data (n.d.), during 2006, a teen died in a traffic crash an average of once every hour on weekends and nearly once every two hours during the week. Sleep deprivation is linked with car crashes for all drivers and is a particular problem for teenagers, who are inexperienced drivers. A person who is sleep-deprived has reduced reaction times, slower eye movements, and decreased ability to make quick decisions. In fact, a person with fewer than four hours of sleep has the same driving characteristics as someone who is legally drunk with a blood alcohol content of .08%. Sleep-deprived teen drivers are not only a danger to themselves but also a danger to anyone who shares the road with them. Our study collected car crash data from the three states’ departments of public safety. We examined crash data for September through May for teens in the schools before and after the time change was initiated. After the change to a later start time, the number of car crashes in the five districts studied decreased by 13%. Reductions ranged from 6% to 70%, with the greatest reduction seen in the first year of the change in Jackson Hole, Wyo., which had the latest start time of 8:55 a.m. Given this compelling information, it’s no wonder that the CDC, the American Medical Association, and the American Academy of Pediatrics have all issued policy statements that endorse a high school start time of no earlier than 8:30 a.m. Given what we’ve learned from our research, we have a few recommendations for schools and districts considering changing their high school start times. Go for the latest start time. Research findings suggest that districts that make a modest move to a later start time for example, from 7:25 a.m. to 7:55 a.m. or from 7:35 a.m. to 8:05 a.m. experience modest benefits but also experience the same amount of community disruption as districts that make the change to start at 8:30 or later. In other words, the benefits are proportional to the amount of time change. Thus, when district leaders discuss whether to implement a later high school start time, they should select the maximum change possible. To make the change in stages or as a pilot will only lengthen the time, by years, that the community will have to deal with the disruption. The first year of a districtwide change will be an adjustment for everyone. However, once new routines have been in place for a year, districts that have made the shift have not voted to return the high school to the earlier start times. Some concerns are real; others just imagined. In every community, people expressed concerns about the possible negative effects of implementing a later start time in their schools. These issues can often polarize the views of community members and paralyze decision making. Our investigation found that some of those concerns have a real basis and are best addressed before the time change, whereas other concerns never materialized. Athletic schedules that may result in a student athlete missing part of a class at the end of the day. Because of a rearranged bus schedule, younger children may have to take an earlier bus to school when it may still be dark. Arranging child care for younger children before and after school may be more difficult. Parents’ work schedules may not easily align with the new start time. The later start time may coincide with local rush-hour traffic, creating the need to discuss with the local traffic safety officials how traffic flow can be improved. The later start time may result in less participation in sports and fewer games won. Because they get up later in the morning, teens may choose to stay up later at night. Participation in after-school activities may decline. Students might have difficulty arriving on time to after-school employment. Transportation — the timing and cost — is usually the biggest hurdle. Creative alternatives for student transportation are usually the best way to address the problem. Some districts shifted to multiage busing, while others moved to a wheel-and-spoke busing pattern. Also, concerns about sports can unnecessarily derail the discussion. In the schools we studied, there was no negative effect to the sports program or to the number of wins a school experienced after changing to a later start time. Child care before and after school is an issue that supportive alternatives can help resolve, such as providing more options for fee-based care at each elementary school. Ultimately, involving and educating all members of the community are essential for successful change. The body of evidence concerning the academic benefits of a later start time for high school students is compelling. Also, the medical research into the function of the brain in memory, learning, and cognition is robust, while the link between sleep and mental health is unequivocal. Finally, we can’t ignore recent studies on the decrease in car crashes involving teens with greater amounts of sleep. Implementing a later high school start time acknowledges the vital relationship between school policies and the research on human development. Rarely do those two worlds intersect so directly. Schools and districts that are considering changing the start time of a high school must engage a wide range of stakeholders in the discussion. Administrators and teachers need to discuss how the sleep needs of students intersect with school activities, such as the timing of homework assignments. Parents need to become better informed about the importance of sleep and how to support good sleep hygiene at home, including removing technology devices from their child’s bedroom at bedtime. Finally, the most successful transitions to a later start time have brought into the process community health care providers, such as pediatricians; community activities directors, such as parks and recreation leaders; and public safety officials. It’s taken 20 years for schools across the United States to fully engage in the movement to change high school start times. Education decision makers have begun to realize that teens aren’t lazy and that they are, instead, in a unique time in their development where they need substantial amounts of sleep. That recognition is driving the changes in start times (see www.startschoollater.net/) that we’re now seeing in 44 U.S. states and in hundreds of schools and districts. Teens face an incredibly challenging world. Together, school leaders and parents have the responsibility to create the best possible conditions for them in which to grow and thrive. Implementing later high school start times is a significant change that positively affects their health, safety, and learning. If we have that will, we can find the way. Carskadon, M.A., Acebo, C., & Jenni, O. (2004). Regulation of adolescent sleep: Implications for behavior. Annals of the New York Academy of Sciences, 1021, 276-291. Jenni O., Achermann P., & Carskadon M. (2005). Homeostatic sleep regulation in adolescents. Sleep, 28 (11), 1446-1454. McKnight-Eily, L.R., Eaton, D.K., Lowry, R., Croft, J.B., Presley-Cantrell, L., & Perry, G.S. (2011). Relationships between hours of sleep and health-risk behaviors in U.S. adolescent students. Preventive Medicine, 53, 271-273. National Highway Traffic Safety Administration. (n.d.). Teen drivers: Additional resources. Washington, DC: Author. www.nhtsa.org. Wahlstrom, K. (1999, January). The prickly politics of school starting times. Phi Delta Kappan, 80 (5), 344-347. Wahlstrom, K. (2002, December). Changing times: Findings from the first longitudinal study of later high school start times. NASSP Bulletin, 86 (633), 3-21. Originally published in December 2016/January 2017 Phi Delta Kappan 98 (4), 8-14. © 2016 Phi Delta Kappa International. All rights reserved. KYLA L. WAHLSTROM (wahls001@umn.edu) is a senior research fellow and lecturer in the College of Education and Human Development at the University of Minnesota, Minneapolis. Here is an idea: go to bed earlier. My honor students in advanced level course work had no problem functioning at high level at 7:15 am. This is the most ignorant thing I have ever read. Just because your students are doing fine in the class doesn’t mean students around the world have the same situation. Have you taken time to talk to your students about their life and their health? Or are you just assuming they are okay because they have that perfect A. And if you actually look at research you will find that teens produce melatonin at a delayed schedule, causing them to have no choice of going to bed early because frank;y they are not tired. Maybe you should ask your students about how they feel and do some research before you comment. okay Rhea, some students try to go to sleep earlier, but they are overloaded with homework. Having that extra time in the morning to either catch up on sleep or have a decent breakfast would be very beneficial. I may be wrong but this sentence is a little worrying “Athletic schedules that may result in a student-athlete missing part of a class at the end of the day.” as you can see whatever sport starts before 3:45 P.M. may be little much for your child because moving a 6:00 o’clock schedule up to an 8:00 o’clock one would be two hours more after school so in my opinion that does not give your child enough time to rest. While many students can do things to adapt to an earlier sleep schedule by using tools like a sleep mask, blackout curtains, or a noise machine to help relax the mind and body for sleep, many others participate in after school activities that require their time before and/or after school. This may mean they must commit more time in the evenings to doing homework or studying. However, implementing a later start time is not without consequences. Many school districts must run multiple bus routes in order to ensure all students are at school on time, and students will still have to be up early in order to catch their bus. Student involved in athletics would be required to miss more class in the afternoons in order to make it to their games/matches OR push the start times of these events back, allowing for less daylight during these events, and meaning students would get home even later, still needing to do homework and studying (when their brains are getting tired). Their entire schedule would simply be shifted by a couple of hours, not actually solving anything. Hey, right now I’m an eighth grader, and we are doing editorials. I decided to do mine on later starting times because I suffer from insomnia. I found this article is pretty easy to relate to. Our schools starting time is eight am, earlier than the recommended time. It’s not just me suffering through, the consequences affect almost everyone in the school. We’ve had many drozy teens driving to school, and getting in crashes, and were known for having really bad grades. I’m positive the schools staring time has contributed to this, and now that I know that other people are experiencing similar problems, its time for me to do something about it! Our school district is looking at making some of these changes, however it would require the elementary school kids to switch and then be going to school by 7:20 am. If it is good for older kids to get 9.25 hours of sleep, how many would you recommend for elementary school kids? My kids are not ones that are up and going at 6 am every day, no matter what. They have to get up early some days to go to work with me (we are there by 7:30) and they are dragging after having to do that 3 times a week for 3 weeks. Would making this change be good for them? I haven’t really seen much information on how it impacts elementary kids to be the ones going to school earlier since the high schoolers would be going later. And it’s not like I can get my elementary school kids in bed earlier, because I have to take them with me to any of my older kids activities because there isn’t anyone home to watch them. So they have to stay up until 9 sometimes because we don’t get home until at least 8:30 with any 7:00 pm meetings. What about going to bed earlier? My parents had us in bed by 8pm on school nights. I have been commenting on this site for 2-3 years now, when I presented this to my administrator they made changes to school start times. The school was amazed at how well the students have responded at the change. I myself love the change as well high schools need to have later start times because it will give students like myself more time to do unfinished work before the school begins.